Let an internationally respected choral clinician take you beyond the analytical study of anthems. Using his innovative concept of Unique Musical Focuses, Michael Kemp lays out a sequential set of pedagogical steps in teaching a score and incorporating stylistic, historical, and analytical information to shape the work in terms of vocal tone and rhythmic articulation. His Unique Motivational Flashes are creative templates for analyzing scores that provide techniques to pace and engage singers fully in the rehearsal process. Kemp has included 17 carefully annotated choral scores selected from GIA's best-selling works, including works by Praetorius, Handel, Luboff, and Alonso. 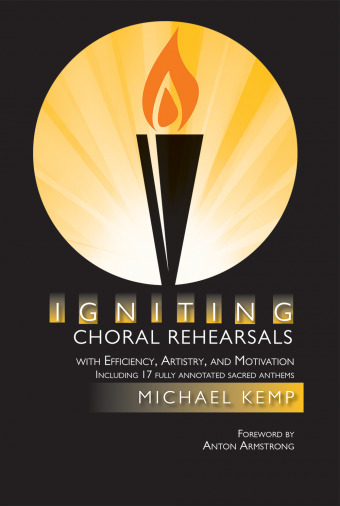 Kemp gives a vast toolbox with which to solve almost every problem that director's will encounter with their choirs, and help their singers grow in vocal skill and musical understanding.